State Minister Robinson Attends Innovation and Entrepreneurship Retreat in U.S.
Minister Paulwell is encouraging telecommunications providers to create commercial spaces that can facilitate Business Processing Outsourcing (BPO). Minister Paulwell said Jamaica has become a leading contact centre location in the Caribbean for BPO. 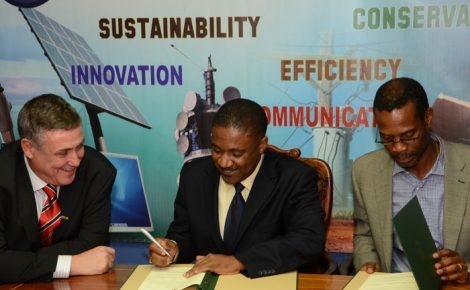 The Minister said the sector, which currently employs more than 10,000 people, is a direct beneficiary of Jamaica’s superior telecoms infrastructure. Minister of Science, Technology, Energy, and Mining, Hon. Phillip Paulwell is encouraging telecommunications providers to create commercial spaces that can facilitate Business Processing Outsourcing (BPO). These he encouraged, should be outfitted with world class, state-of-the-art, Information and Communication Technologies (ICT). Minister Paulwell said Jamaica has become a highly competitive and attractive business destination and a leading contact centre location in the Caribbean for BPO, but is challenged by the lack of commercially available space in the right locations. “I encourage our telecoms providers to not only create a world class physical ICT infrastructure; but to tap into another lucrative sector and create purpose-built, state of the art, ICT suitable, plug and play commercial buildings that are targeted specifically for the BPO sector,” the Minister said. 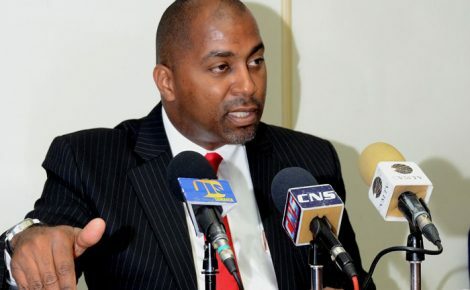 He was addressing a media briefing on April 2, where he announced the renewal of telecoms and spectrum licences to LIME and Digicel. 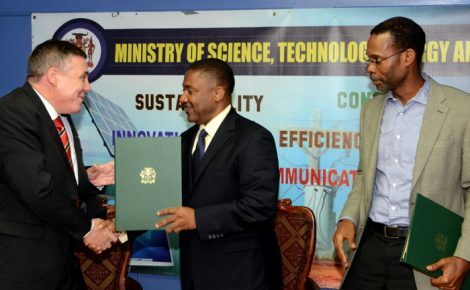 The Minister said the sector, which currently employs more than 10,000 people, is a direct beneficiary of Jamaica’s superior telecoms infrastructure, and has the potential to create thousands of new jobs by 2030. He pointed out that during 2013, six companies created new investments in the sector, and are expected to invest US$155 million. The Minister also challenged the telecoms providers to do more in the area of infrastructure, fixed, and mobile broadband deployment, and price, so that Jamaica can move up in the E-readiness rankings. Minister Paulwell said government’s goal in the ICT sector is to: utilise ICTs to increase overall efficiency and productivity; establish world-class high capacity ICT infrastructure and services across the island with a view to facilitating increased investments in the country; and use ICT as a key enabler to develop all sectors, with a focus on the creation of a knowledge-based society.